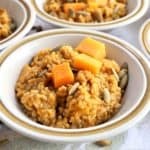 Instant Pot Butternut Pumpkin Risotto-ready in 1 hour, vegan, gf, dairy free. 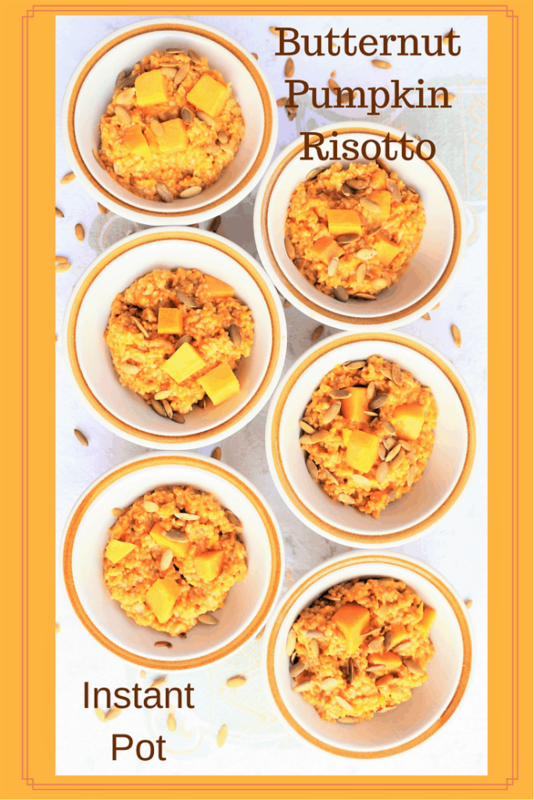 Instant Pot Butternut Pumpkin Risotto is a perfect dish for holidays or as a side dish any time of the year. 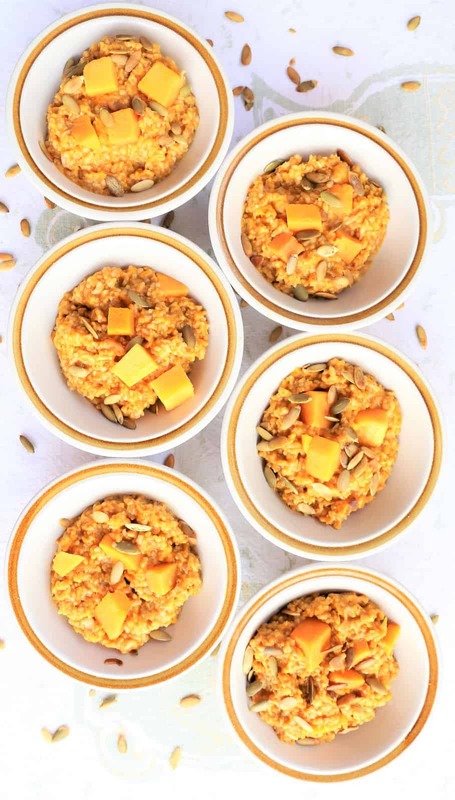 It is slightly sweet and creamy, and when topped with toasted pumpkin seeds, is delectable. When you prepare it in the Instant Pot, it is ready in less than an hour, and crock pot cooking works as well. This yummy dish is vegan, gluten free and dairy free. 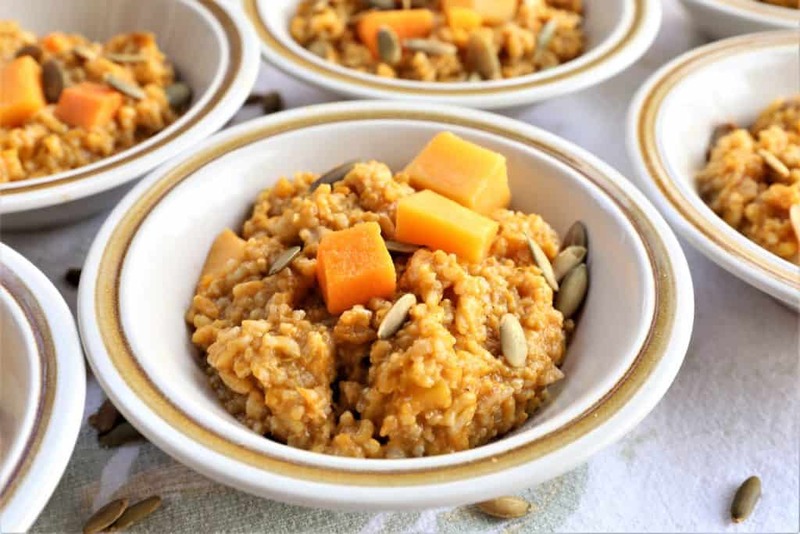 Delicious butternut pumpkin risotto topped with toasted pumpkin seeds. Vegan, gluten free and diary free. Set your Instant Pot to saute. Saute onions, garlic, ginger in olive oil. Add spices. Total cook time includes 15 minutes for pressure release. Crock Pot: Saute onions, garlic and ginger in olive oil in pan. Add all ingredients to crock pot and cook on high for 6 hours.